Complete the form below, after which a Knight from our Council will contact you. Have a conversation with one of the Knights of Columbus in your community. 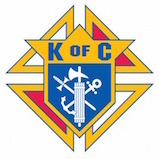 Browse this Website for more information on the Knights of Columbus as a whole. Complete a Membership form - the Knight who contacts you will be able to provide you with a copy of this form. Attend the next initiation ceremony in our area. I am interested in becoming a member of the Knights. I am currently a member, but have just recently moved to Fayetteville. I don't know if I am still an active member of the Knights.